Fear not, weary nerd traveler. Let us be your dungeon master guide on a geektastic quest around Seattle. Begin at Museum of Pop Culture (MoPOP) (*325 Fifth Ave N; mopop.org), best known as a shrine to music memorabilia and all things sci-fi and pop culture. The Seattle institution, created by Microsoft cofounder Paul Allen, features artifacts from pretty much every major nerdy cinematic universe, from Lord of the Rings to Star Wars. MoPOP also puts on the always-entertaining Science Fiction and Fantasy Short Film Festival at circa 1963 movie theater Cinerama (2100 Fourth Ave; cinerama.com), which has since been lovingly restored. 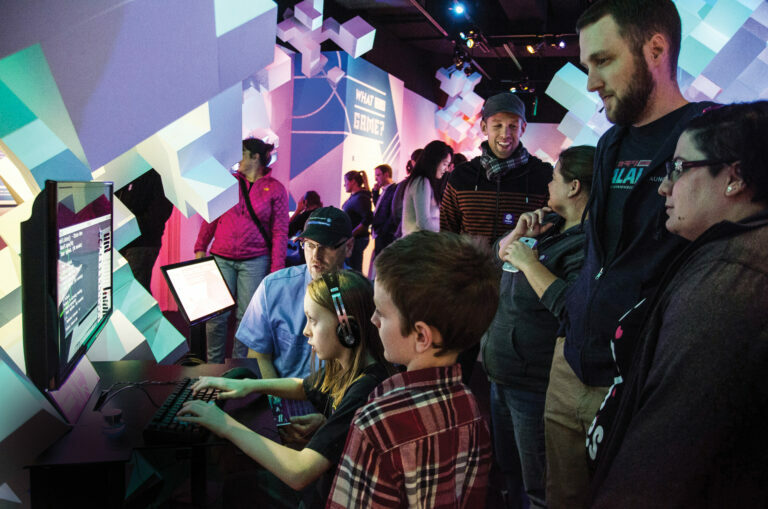 At another Allen-founded geek outfit, the Living Computers: Museum + Labs (*2245 First Ave S; livingcomputers.org), visitors embark on an interactive journey through the early years of computing. Wizards seeking a pinball adventure have a couple of options around town. Seattle Pinball Museum (*508 Maynard Ave S; seattlepinballmuseum.com) and its one-price-for-free-play setup is a must for even casual flipper fans. For those who want a treat while manning a machine, Full Tilt Ice Cream (5453 Leary Ave NW; fulltilticecream.com) has four sweet locations full of unique flavors and lit-up games. Continue to level up by traveling to the brick-and-mortar store for Seattle’s famed alternative comics imprint Fantagraphics Books (1201 S Vale St; fantagraphics.com) in Georgetown. But your comic shop of choice really depends on where you are, from Phoenix Comics and Games (113 Broadway Ave E; phoenixseattle.com) on Capitol Hill to Golden Age Collectables (1501 Pike Pl, Ste 401; goldenagecollectables.com) in Pike Place Market. 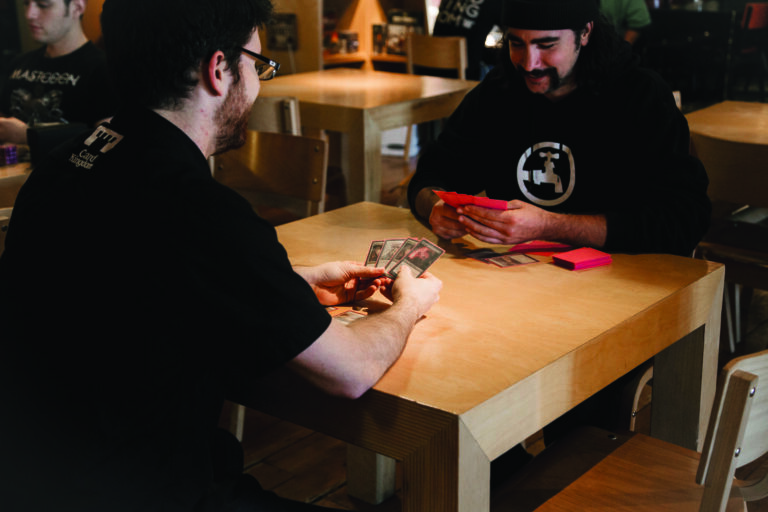 And for those adept at the roll or the draw, Card Kingdom (5101 Leary Ave NW; cardkingdom.com) in Ballard is an oasis for gamers, along with the likes of Blue Highway Games (2203 Queen Anne Ave N; bluehighwaygames.com) and Green Lake Games (7509 Aurora Ave N; greenlakegames.com). Need to revive health with a good meal? Gamma Ray Games (501 E Pine St; gammaraygamestore.com) and Wayward Coffeehouse (6417 Roosevelt Way NE; waywardcoffee.com) specialize in satiating the appetites of fellow geeks with games, tasty bites, and local beer. Don’t worry, cosplayers, Seattle has plenty of conventions in the spring for massive fan gatherings. Norwescon (norwescon.org) is all fantasy and sci-fi, while Sakura-Con (sakuracon.org) is the Northwest’s anime spectacular. 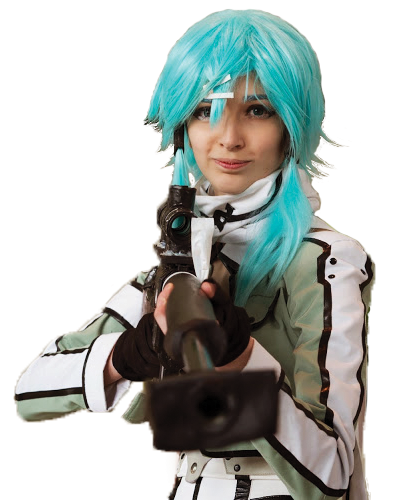 And Emerald City Comic Con (emeraldcitycomicon.com) brings the big names from film, TV, and comics to the Washington State Convention Center every year.